Looking for the best ant traps in 2019? Well, you're in the right place as we go into detail about what to look for and how to buy a top ant trap. From sugar ant to grease and protein ants, how to do you use an ant trap and what should you do to make your ant issues go away as fast as possible? 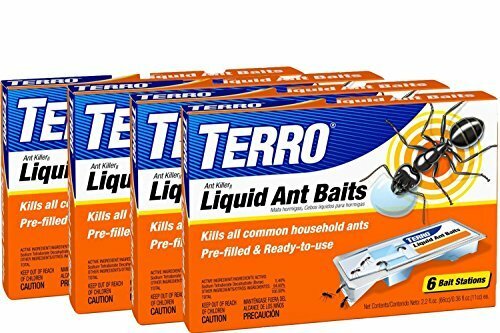 Topping our list and our recommended trap is the TERRO Liquid Ant Bait pre-filled trays. It combines a patented slow drying pre-filled ant bait station with an extremely effective ant poison (Borax) and mighty attractant making it extremely easy for any homeowner to buy a pack of traps and easily deploy around their house where ants like to travel. It works by attracting forging worker ants to find the trap, take some back to the colony, and then slowly spreading the poison throughout the colony for maximum ant killing results. The only drawback is that it is a sugar based bait and may not attract and/or kill an ant infestation that prefers a protein diet (not all ants like the same food!). For best results, we recommend using both types at first and observe which kind of trap your specific ants like to eat. Our top protein bait is the Advanced 375a Granular Ant Bait, which also requires you to buy baiting stations if you plan to use them indoors sine they aren't self contained like the TERRO product. Want to learn more about ant traps and ant trap removal tips and tricks? Keep reading for our full review and guide. Are Ant Traps For Indoor Use or Outdoor Use? Which Type Of Ant Trap Should You Use? Ant traps provide a safe way to deploy insecticide onto an infesting colony. There are several ways to control and rid your surroundings of these pesky little critters. In this article, We're going to go over some of the best ant traps available for home use and tips and tricks you’ll need to know when using them. For many, the pests they mostly detest are ants. Here are the traps we reviewed for the 2019 edition of this article. Ant traps are not your traditional traps. If anything, they are better described as feeding stations. The only difference is that the ‘food’ is a bait that contains poison as one of the ingredients. The bait will be either a sweet or protein based mixture which draws the ants to the ‘trap’ to feed. They eat some of the bait themselves but will also transport quantities of it back to their colony. This is where the ant trap does most of its work. The ants in the colony will eat the food and slowly die from the poison. This makes ant traps a safe alternative to sprays as it kills off the insects at their source. The best ant traps are designed with entry/exit holes to permit easy access to the bait contained inside a plastic disc or box and are effective wherever they are used. However, some manufacturers have specifically designed some exclusively for use indoors and others meant just for outdoor applications (usually the waterproof traps). Interested In More Ways To Kill Ants? Click here for our top ant killer picks! There are also several different types of ant traps. Commercially made ones come in various sizes and shapes but typically feature a food source held inside a small plastic container. Outdoor designs include the same basic premise but instead of sitting on flat surfaces, the best ant traps for outdoors include hanging devices for attachment to trees or bird feeders. Others use a stake for placement in yards or flower gardens. Even further, some manufacturers forgo the "trap" part all together and encourage homeowners to direclty apply the baits to their yard in affected areas. Specifically, this is how most granule based baits are meant to be applied. You buy a jug of granules and either sprinkle them around your yard directly from the container (easiest but not evenly distributed) or use a broadcast spreader you would normally use to spread seeds. Using the spread ensures a nice even distribution of the granules across your lawn. Keep reading to see which granules we like the most! There are numerous homemade ant traps. These are typically recipe-based as opposed to container designs. The most common ingredient in homemade traps is borax or boric acid mixed with sugar (honey, jelly, etc) or some other food source to attract the insects. Borax is a mineral and a salt of boric acid and is a chemical commonly used as an insecticide. It has other uses as well including as an antiseptic and flame retardant. The traps you select depends on the type of ant infestation you have. Protein ants, such as Fire Ants, Carpenter Ants, or Thief Ants, will prefer a protein rich meal. Sugar ants will prefer a sugary meal. The packaging on the product you select will most likely notate the ant it is designed to kill. Something you should also consider is if you’re going to place the trap inside or outside your home. Outdoor traps should be waterproof and say on the packaging that they are approved for outdoor usage. To get the best success from your ant trap, make sure to remove other attractants that would distract the ants. This means that all surfaces near the ants should be washed clean to remove any traces of food or the scent of food. Trash receptacles should also be emptied to eliminate any possibility of the ants ignoring the bait and concentrating on existing food sources.The food base inside the bait mixture is intended to attract the attention of the passing ants. They will feed on it and transport pieces of the bait to their home. The slow acting poison will start to take effect and a decrease in ant activity should be obvious quickly with complete eradication to be expected in just a few days. If an ant problem persists or returns after a period, such as a seasonal problem, it is important not to continue to use the exact same kind of ant bait. This is because the ants can develop a resistance to the active ingredient in the bait being used. Switching out the ant traps used with one infestation for a different one to treat a different infestation is a good idea. Be sure to read the packaging of the products used to ensure a different active ingredient is used when making such a switch. We often recommend TERRO as they are a leader in the pest control business creating really effective pest control products, and this product is no different. 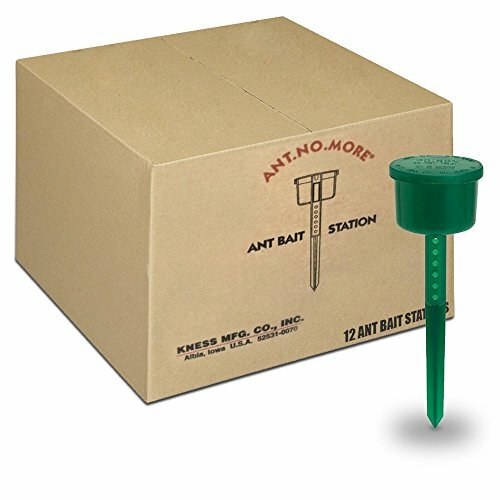 This ant trap contains a total of six, pre-filled bait stations that are ready to use right out of the box. You just need to cut a piece that creates a ramp up to the liquid that is revealed after you peel away a cover. The design of the container is patented by the manufacturer and is meant to prevent the bait from drying out. 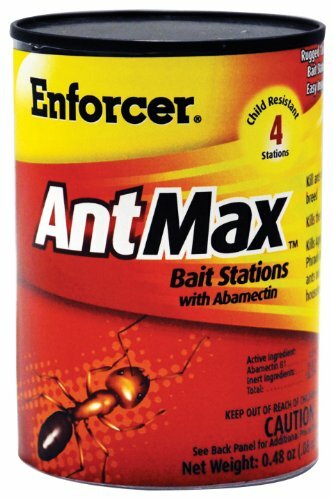 The active ingredient is Borax and the company says the design and bait mixture is specifically made to attack worker ants. Again, this trap will work very well for ants that prefer a sugar based diet. If your specific ants prefer a protein based food source then this trap may not work as well, which is why we recommend buying both to see how your ants react. 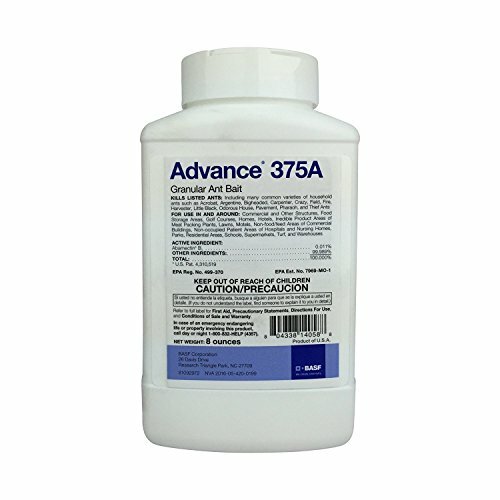 Our favorite protein based bait is the Advance 375a reviewed below. For a full review of the TERRO Liquid Ant Traps, click here. We recommend combining Advanced 375a Granule Ant Bait with refillable ant stations to target indoor ants who prefer a protein based diet. If you have more of an outdoor ant issue, you can probably skip the bait stations and just sprinkle the bait out of the container itself. If you use them indoors, you'll want to take extra precaution because pets and children may confuse the granules with food and eat it. Bait stations contain the bait making it harder for something like that to happen. We recommend combing this bait with the TERRO mentioned earlier in this article to ensure you target and kill both protein ants and sugar ants. You won't know which type you have until you start testing each type of bait. Kness has been in the pest control industry since 1924 and has become known for their extremely popular Ants-No-More Ant Bait Station. This product is designed for outdoor use and is durable. It is made from polypropylene (green in color) and is waterproof and tamper proof. The product looks like a small, short canister on top of a pointed pole that is inserted into the ground. All you do is pop open the lid on the top of the canister and load bait inside. The container can hold liquid ant bait and solid or granular bait simultaneously. Enforcer has been in the pest control business since 1977 when they introduced their first product. Featuring a ‘clear view’ design, you can tell just at a glance how much bait remains inside the plastic container. The active ingredient in this bait is Abamectin which is an insecticide to both ants that eat sweet foods and those that prefer grease as their main food source. What this means is that it will be effective in treating various ant species. The containers are child resistant and Enforcer states they will kill ants in 24 hours. These containers are suitable for indoor or outdoor use. This is another product that is described as an ant bait station and essentially that's all it is – a feeding spot filled with a killing dose of poison. The oblong shaped flat plastic container has a small feeding hole at the top where the ants can access to feast and transport additional portions of the bait to their colony. 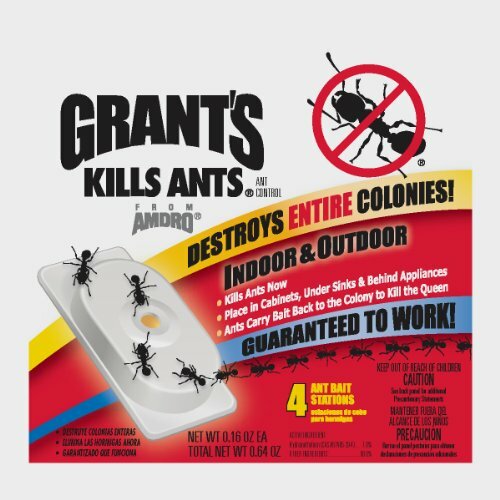 The manufacturer states is it effective when used anywhere you find ants and actually has the words ‘guaranteed to work’ on the packaging, which is reassuring (although who knows?). Ants are finicky, you may need to try more than one type of ant trap and try other ant killing methods in order to kill off an infestation. To be clear, the TERRO product will work well for ants who prefer sugar based food sources. Although the product works exceptionally well, you may also need to try combining a protein bait and ant trap to eliminate all types of ant infestations. If you want to try a protein bait and trap combination we recommend the Advanced 375a combined with these ant trap stations. Detailed Checklists: All of our pest control checklists sent to your inbox! New Pest Strategies Weekly: New product reviews and guides, sent weekly! Curious about other ant related products? Check out our other detailed guides to help you deal with your pest problems.